Spring Break on a tropical beach somewhere getting smashed for an entire week is what it’s all about. It doesn’t get much better than that, or does it? Although that’s the typical Spring Break, and there is nothing wrong with that whatsoever, it may not be the best option for you out there. 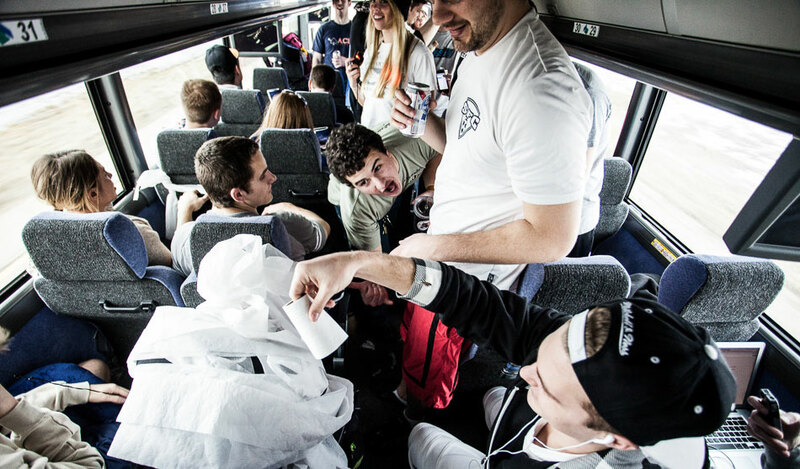 Ski trips for Spring Break bring a ton to the table, and may be better than the traditional Spring Break. We break down the perks of hitting a mountainside resort instead. Don’t get us wrong, slamming drinks all day and night for a week on a beach is great. It’s what you think of when the topic of Spring Break comes up. The downside to this? Spending a ton of money, being nonstop hungover, and not remembering 75% of your trip. Now, we aren’t saying a ski trip doesn’t pack a lot of boozing into it, because it does. It’s just more sectioned off. Sure, you may slug some beers while riding, but you’re not going to get obliterated because you don’t want to kill yourself by hitting a tree. This allows you to actually enjoy your trip even more, and save the drinking for at night at the bars and in the hot tubs. Most people that hit the typical Spring Break have good stories. Got hammered on a beach by 11am, raged all day in the sun, hooked up with randoms from across the country, hit the club at night. Basically the story of every single person you talk to when they come back. Great stories, but they all start to blend together and nothing sticks out. Hitting the slopes all day in a blizzard with a group of snow bunnies that you go out with at night and nail in the hot tub after ripping shots of fireball out of your flask? Now that’s a story that will grab people’s attention. The stories that you tell people the years after Spring Break are what make it so great, so make sure that your mountain stories blow everyone else out of the water. The traditional Spring Break crowd is fun, but they are all kind of the same. Frat bros slamming beers being loud and looking for the girls dressed to the 9s for the pool party. Not that there is anything wrong with this, because it is a blast. The ski trip Spring Break brings out a different crowd. For one, you automatically have something in common with everyone, so instant friends. Also, a lot of the douchebags are left behind, and everyone just wants good vibes and to ride. The crowd you surround yourself during Spring Break can really make or break your week. On a ski trip, chances are everyone you meet is going to be a blast. The regular Spring Break on the beach, you’re pretty much paying to get obliterated on the beach with thousands of other people. It’s great and all, but that is kind of all you’re doing with your money. A mountain Spring Break gives you way more experiences than that for your money. Yes, the drinking is there. But you are also ripping up the slopes every day, doing other outdoor activities, experiencing a new place, hitting the hot tubs and bars at night, and general craziness. Your money goes a longer way on a mountainside resort Spring Break.